Our youth is rioting, do they have a choice? 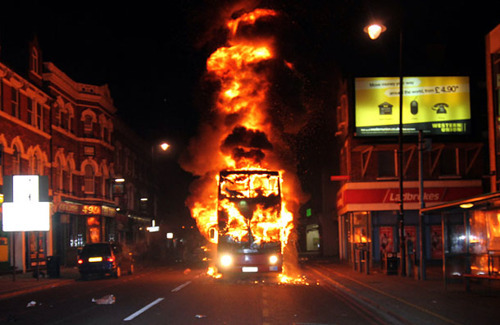 London’s Riots got us out of our seats as we watched in disbelief what the media was showing us… Images of really young people who seemed to have lost their senses…sacking, destroying, burning, stealing from the commoner and the wounded. The obvious question immediately comes to mind: WHY? I mean, this is London, it’s not somewhere in a third world country where some dictator is ruling or where there are no social services in place right? 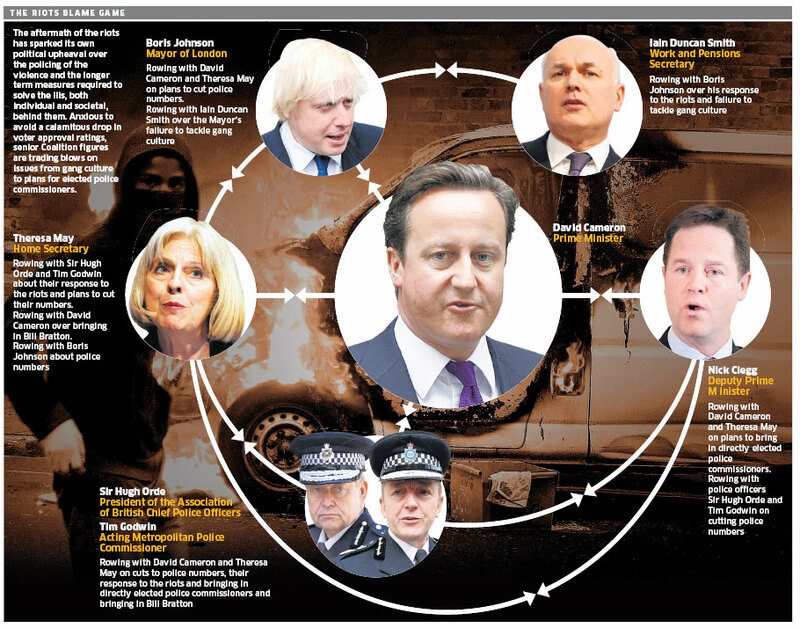 Governments act swiftly and label these youngsters as pure criminals, so the witch hunt starts…. Seven hundred, eight hundred are arrested and it’s over. Is anyone asking the right questions? Is anyone wondering how did this came to happen? I just read what Rusell Brand wrote for the Guardian and as a Londoner, he not only speaks from his heart about the city he loves but does so with effortless clarity and insightfulness…. “I believe this pretty much sums up what took place in the London riots and what is taking place on the world today. Youth rioting is the natural symptom of a deaf society. The only question I can legitimately ask is: why is this happening? “If this week’s eruption is an expression of pure criminality and has nothing to do with police harassment or youth unemployment or rampant inequality or deepening economic crisis, why is it happening now and not a decade ago? The criminal classes, as the Victorians branded those at the margins of society, are always with us, after all. It was triggered by the police killing a young black man in a country where black people are 26 times more likely to be stopped and searched by police than their white counterparts. The riot that exploded in Tottenham in response at the weekend took place in an area with the highest unemployment in London, whose youth clubs have been closed to meet a 75% cut in its youth services budget. It then erupted across what is now by some measures the most unequal city in the developed world, where the wealth of the richest 10% has risen to 273 times that of the poorest, drawing in young people who have had their educational maintenance allowance axed just as official youth unemployment has reached a record high and university places are being cut back under the weight of a tripling of tuition fees. While bankers have publicly looted the country’s wealth and got away with it, it’s not hard to see why those who are locked out of the gravy train might think they were entitled to help themselves to a mobile phone. What we’re now seeing across the cities of England is the reflection of a society run on greed – and a poisonous failure of politics and social solidarity. Bruce Crumpley from Time Magazine takes it even further by comparing the Rioters to Wall Street stockbrokers…. “Forget about how the current London riots may resemble France’s suburban violence of 2005; the recurring waves of unrest and destruction Britain has seen in the past week are more similar to the mindless, greed-driven mayhem ravaging most stock markets these days. In both cases, the established order being undermined has suffered as much from the reactions of fear, frustration, avarice and opportunistic cynicism that have arisen as the underlying factors that sparked them. Reason, rationality, and the long-view have had no place in either. And a mob, after all, is a mob, whether clad in hoodies or tailored suits. One needn’t be a trader or analyst to feel comparing stock market actors to the criminal British youths inflicting theft, arson, and extreme violence on society is unfair hyperbole (or worse). Yet one also needn’t be Michael Moore (or worse) to think there are some valid similarities involved all the same. The answer then is right here, there and everywhere. It’s time we strip ourselves from the labels we impose on others when we do not understand their motifs. It’s time we step back and realize people take desperate measures when they have nothing else to lose, when they feel hopeless and angry. It is sad to see it is our own youth who are mobilized by such destructive emotions and yet they are the ones who are out there, expressing what we are too afraid to express and doing the job for us! This entry was posted in onlifemag, WORLD and tagged change, inequality, london, london riots, riot, social solidarity, youth by onlifemag. Bookmark the permalink.